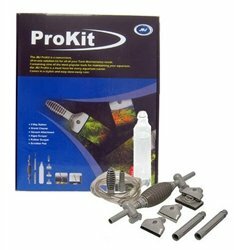 The JBJ ProKit is a convenient all in one solution kit for all of you tank maintenance needs. Keep regular aquarium maintenance hassle free with the right tools. JBJ ProKit Aquarium 9 Piece Maintenance Kit streamlines product selection for greater convenience at a great package price. 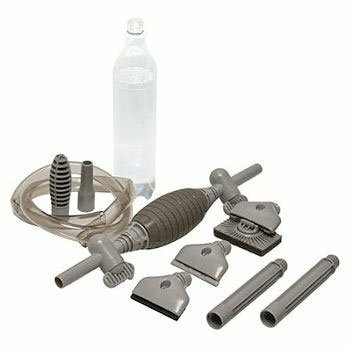 Clever modular components assemble into the ideal tool whether you are performing a water change, cleaning aquarium gravel or scraping away algae and other buildup from glass or acrylic aquariums. Stylish stow-away case keeps aquarium tools organized in one location for easy storage.